Tersia was born in Bethlehem in the Freestate, She qualified as a Dietician in 1993 and completed her hospital diploma year in 1994. Tersia has been a registered Dietician in private practise since 1997. 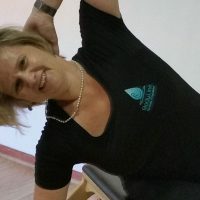 Her main aim is to improve her patient’s quality of life and, after completing her Master’s degree in Nutrition, she saw the potential benefit of incorporating Pilates.